A full field of super-friend superteams will challenge the RDCL All-Stars on San Diego's banked track this weekend. Last year, the Roller Derby Coalition of Leagues and the San Diego Derby Dolls had an idea: Get some of the best flat track skaters in the world, the best banked track skaters in the world, mash them up into superteams, and have them play in an RDCL banked track tournament on San Diego’s banked track. How did their idea work out? I do not make this statement lightly: That was the best roller derby game I have ever seen in my life. The RDCL is back at it again, as the second Jantastic Invitational is set for this weekend in downtown San Diego. A full field of eight teams filled with world-class players and highly-experienced skaters will open the 2016 roller derby calendar with a serious — and seriously fun — competition. An examination of the inaugural and defending Jantastic champions, Team My Little Ponies, will give you an idea of what kind of event this is. For starters, the team is called My Little Ponies, with Princess Sparkle, Rainbow Dash, and Apple Jack playing among their ranks. Friendships and rainbows all around! MLP will be facing tougher competition this year. The 2015 runners-up, Team Atom, has a refreshed roster with more banked track experience. Defending home turf last year, the RDCL All-Stars finished third and are looking to further prove that the banked’s best are just as good at playing roller derby as anyone else. Three teams new to Jantastic, but no strangers to banked track play, will also be looking to make an impact. The two-day invitational tournament will have wall-to-wall derby on Saturday with pool play. Four teams will each play one another in two pools, with the two finishers in each advancing to elimination play the next day. Sunday will also include a special junior exhibition game, featuring an all-star JRDA team going up against the best juniors from the RDCL. Unfortunately, there will be no live stream of the event.1 If you want to see what banked track roller derby can look like at its best, you’re going to have to make your way to San Diego to see it live and in-person. If you’re in the area or are on your way to it, you can grab tickets here. But that doesn’t mean you’ll be in the dark with what’s happening! Roller Derby Notes will be in San Diego all weekend, recapping the action each day and providing you with scores and live updates as things happen on Twitter and Instagram @derbynotes. Our coverage starts below, with the event schedule, full rosters, and some quick previews of for each of the teams participating. The Wolfpack is back! Though new to Jantastic, this team is no stranger to the banked track. Three years ago, they participated in the MADE Derby Ink Invitational, and two years ago they beat the L.A. Derby Dolls, in Los Angeles no less. Now they’re in San Diego to see how they stack up against a deep and talented field. A few of the roster members skated with Atom in 2015, so those players will have that experience to bring to Wolfpack this year. So too will Mota Matrix, formerly Atomatrix, who coached for Atom before leaving the team — and her company — for new opportunities. What better opportunity than having a team like this? They might be a favorite to win it all. 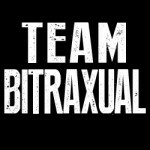 Last year, BiTraxual finished in fourth place (out of six teams) after getting thumped once by eventual champs My Little Ponies, and twice by the RDCL All-Stars. The roster they bring to San Diego this year is largely the same as it was then. Notable on the team is RegulateHer and Gori Spelling. Both long-time members of the L.A. Derby Dolls, they recently transferred to the flatter confines of Angel City and Bay Area, respectively. That should give the team, which heavily features RDCL regulars from the SoCal and Phoenix areas, a more flat-track slant. BiTrax will be back together again in a few weeks, when the team heads up to Los Angeles to play the Derby Dolls in an interleague game. As far as a warm-up for that game goes, you can’t do much better than Jantastic. Austin and Houston join forces to to make up a squad that could only come from Texas, The team features players from the Texas Rollergirls, South Side Roller Derby, Bat City, the Free Radicals, and the one-and-only TXRD, all leagues from the Lone Star State. Of course, modern roller derby got its start in Texas. But what many people may not know is that Texas has a large banked track community, with four tracks (more or less) in the state. Both South Side and TXRD have participated in Battle on the Bank, the RDCL national tournament. So the team from Texas knows its stuff, and has a lot of experience to fall back on. Whether they’ll have the raw talent to compete against some of the other teams in the field is a different story, though. It’s going to be hard to beat the defending champs. Just about everyone is back from last year’s winning squad, and those that weren’t able to come back got replaced with some pretty capable skaters. For example, Team USA member Julie “Angela Death” Adams played last year with Team Colorado; now she’s a Pony. So is Erin Jackson, the first-ever Jantastic MVP. Jackson was pretty much unstoppable during power jams, particularly in the 2015 final against Team Atom. Give her 60 seconds with against a thin pack and no other jammer to worry about, and she’ll give you a world’s worth of points faster than you can count them. Last year, My Little Ponies wound up playing their hardest games in the pools. Their semifinal and final matchups were easier on them by comparison. This year, MLP will find a stiffer test on both days, and especially on Saturday against the Wolfpack. The game between them will be the last of the morning pool, which may very well determine who gets the top seed for Sunday play. This is a very different Atom team than the one that finished in second place last year. That one was loaded with WFTDA tournament MVPs and Team USA members. This one … isn’t. 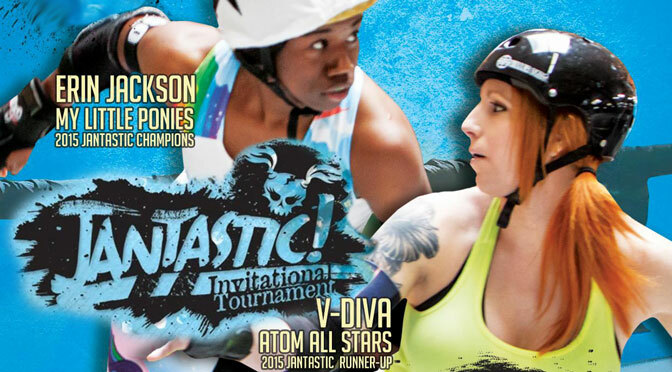 For Jantastic 2016, Atom is instead fielding a roster of skaters with lots of experience in the SoCal roller derby circuit. Their captain is Punk N. Da’Trunk. Some of our more straight-laced readers might recognize her as the founder of the Caulksuckers, the team that famously battles the Vagine Regime at RollerCon each year.2 Those with a long memory will also recall her past adventures on the banked track—or rather, off the banked track. As far as her team goes, it’s going to be a tall order to replicate the results that the Atom brand brought home last year. Though they won’t lack the enthusiasm, the talent will be hard to match. As the name implies, this team consists of players from the southwest. More specifically, two-thirds of the roster is made of current and former skaters from the Arizona Derby Dames, the RDCL team based in Phoenix. Joining them is Amanda Jamitinya from Bay Area Derby. The lineup also includes three former members of the RDCL All-Stars. Craven Cadavers, Scarlett Knockout, and Phoenix Endsong all represented the best of the banked track world last year. This year, they’re representing the best of southwest. The team that everyone likes, but nobody wants. No, actually that’s a lie. 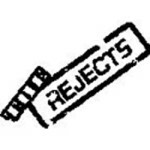 Everyone wants the Rejects! One of the longer-standing pickup teams in roller derby brings back many of the usual suspects from last year’s 5th place finish, and some new bodies. Demanda Riot is a pretty good addition, for starters. She replaces AJ, who skated with The Rejects last year, as the Bay Area representative on the team. New is representation from Iowa, with Laura Claps and A Few Screws Lucy. They all join the some of the derby vets that have been on the track for longer than you can remember. Rounding out the field of eight is the all-star team representing the Roller Derby Coalition of Leagues. Its roster is comprised of the best skaters from the six RDCL member leagues. Last summer, the RDCL expanded and added Penn-Jersey Roller Derby to the coalition, granting them a player slot on the team now filled by Maulin’ Munster. (PJRD will also be hosting Battle on the Bank IX in Philadelphia this June.) Reigning champs L.A. Derby Dolls has the bulk of players with seven. San Diego has three representatives, leaving Arizona and Tilted Thunder with two each. The RDCL has a good chance of placing as well as they did in last year’s tournament, but with more teams to compete against it will be a bit tougher. One would expect them to at least finish in the top two spots of their pool, which appears to be the easier of the two. Winning it all might be a stretch given the talent in the rest of the field. On Saturday before the final, there will be a special exhibition event featuring two junior teams representing two different roller derby organizations. The Jr. RDCL All-Stars is a selection of the best junior skaters that play on the banked track. Like their grown-up counterparts, each RDCL league with a junior program gets a certain number of roster spots based on performance at the last Battle on the Bank tournament. Unlike the big girls, the junior roster is primarily built from from Tilted Thunder and San Diego, who combine to fill 10 spots. Los Angeles and Arizona split the last four. Making a guest appearance, the JRDA is coming to Jantastic with a squad of talented young’uns from the west coast and Florida. This is the first time that the JRDA will be representing a team in a banked track game, though many of the players have significant banked track experience despite their age, having grown up on the Masonite before moving on to JRDA leagues or WFTDA leagues with junior programs. Games will be recorded and might be uploaded for viewing later, at least. Hey ladies, I don’t know if you know, but there’s a banked track at RollerCon now. How about we get one of those Caulk/VR games on it one of these days?